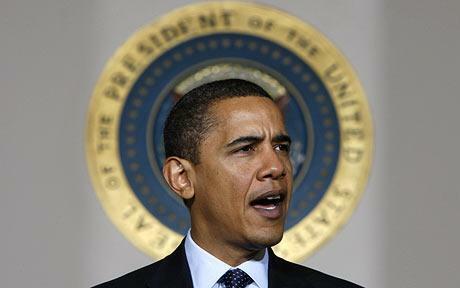 Many have noticed that Barack Obama just isn’t himself without his teleprompter. In fact, without his favorite speech aid, the next Abraham Lincoln sounds a lot like, well, Jimmy Carter. Joe Biden is a confused, inanne and inept public speaker even with his teleprompter. Today he gave the major address at an AFL-CIO event and cameras and other recording devices were banned. We thought it interesting to note that Rush Limbaugh never uses a teleprompter at all…. The establishment’s admiration for Honest Abe appears to grow in proportion to its dishonesty. 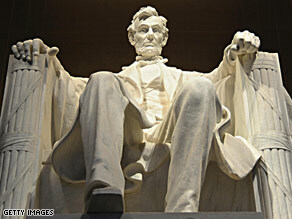 A week of low national deceptions culminated in celebrations of Lincoln’s 200th birthday. Out came historians known for plagiarizing to deliver pious speeches before politicians who lie. It is like an endless Charlie Rose panel, with the usual strained and pretentious throat-clearing. 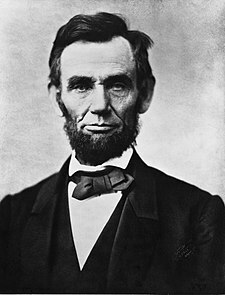 “Somehow Lincoln has worked himself into Obama’s heart and mind, and it’s a good thing to have Lincoln as your mentor,” Doris Kearns Goodwin, the Pulitzer Prize-winning plagiarist, said to the press. A nodding liberal elite trots out Goodwin to extol Lincoln’s virtues of probity while presiding over an age of non-stop fraud — an age that solves recession by printing money, solves crime by repealing laws, solves illiteracy by eliminating tests, and solves homelessness by mandating bad loans. And they are shocked at Alex Rodriguez? Why? Haven’t they noticed that lying has become the national pastime? He cheated on the field; they cheat in Congressional offices, board rooms, and bureaucracies. He took steroids; they take special-interests stimulus. Nothing is what it appears, not even the inevitable confessions which are as carefully contrived as the crimes. A daily, indistinct mass of dishonesty washes over the public in a boring cycle of indifferent sin and contrition. Every crime, no matter how high or low, is merely a “mistake,” something on the order of lost car keys. On the day of the first inauguration to take place in this city, a small band of citizens gathered to watch Thomas Jefferson assume office. Our young and fragile democracy had barely finished a long and contentious election that tested our founding ideals, and there were those who feared our union might not endure. It was a perilous moment. But Jefferson announced that while we may differ in opinion, we all share the same principles. “Let us, then, fellow citizens, unite with one heart and one mind,” he said, urging those assembled to begin anew the work of building a nation. In the more than two centuries since, inaugurations have taken place during times of war and peace, depression and prosperity. Beneath the unfinished dome of the Capitol, a young lawyer from Illinois swore an oath to defend the Constitution a divided nation threatened to tear apart. In an era of unprecedented crisis, an optimistic New Yorker refused to allow us to succumb to fear. In a time of great change, a young man from Massachusetts convinced us to think anew with regard to serving our fellow man. At each and every moment, the American people have joined with one heart and one mind – not just to commemorate a new president, but to celebrate those common ideals, share our hopes for a brighter future and resolve to advance our bold experiment. Tomorrow, we’ll gather at a new time of great challenge for the American people. Our nation is at war. Our economy is in turmoil. We have much work to do toward restoring prosperity and renewing the promise of this nation. And yet while our problems may be new, what is required to overcome them is not. What is required is the same perseverance and idealism that our Founders displayed. What is also required is that we break free from rigid ideology and small thinking, and together grab hold of this opportunity to bridge partisan divides and deliver change for the American people. The state of our union and challenges of a new century demand that we move beyond the old debates and stale arguments. We must focus today not on the dogmas of left and right, but on practical answers to the difficult problems of our times. The impetus for that change will come from the American people, where the ultimate power in our democracy lies. That is why the events of this week are not simply about the inauguration of another American president – they are a celebration of our democracy. We have made this inauguration the most open and accessible in our history, with the sole purpose of involving more citizens than ever before. And as we gather on a mall, in our neighborhoods and in our homes to begin our new journey together, we remember that our greatest strength has always been found in one another. For the first time ever, we’re opening up the entire length of our National Mall for an inauguration. We’ve invited ordinary citizens from across the country, welcomed local schoolchildren and their families to the parade, and worked with local organizations to distribute free inaugural ball tickets to D.C. residents and military families. And we’ll broadcast and webcast the first-ever Neighborhood Inaugural Ball so that all Americans can join us – wherever their neighborhood may be. We’ve heeded Jefferson’s words by involving Democrats, Republicans and independents in all aspects of this inauguration. Tonight, we will hold a series of dinners to honor leaders whose lifetime of public service has been enhanced by a dedication to bipartisan achievement, including my former opponent, Sen. John McCain. We will couple the spirit of this inauguration with the celebration of the life of a preacher who once stood and shared his dream for America on the very mall where we’ll gather tomorrow. Martin Luther King lived his life as a servant to others, and today, ordinary citizens all across the country honor that legacy through the more than 10,000 service projects they’ve created on USAservice.org. And I’m asking the American people to answer the call and turn today’s efforts into an ongoing commitment to enrich the lives of Americans in their communities, their cities and their country. After all, it’s that commitment to one another that’s always led us forward as a people. Because from those first citizens to the millions technology will connect this week, through times of great challenge and great change, we have remembered that fundamental American truth – that what unites us is always more powerful than what divides us. That is the spirit that has always sustained us. That is the principle that must drive us now. And I am confident that if we come together and summon that great American spirit once again, we will meet the challenges of our time and write the next great chapter in our American story. Editor’s note: President-elect Barack Obama wrote this essay for The Washington Times in honor of the Martin Luther King, Jr. holiday. Now Obama is asking the nation to honor King’s legacy by making a renewed commitment to service. That has long been the goal of the King holiday, even if many see it as a day off. You are currently browsing the archives for the Lincoln category.